This article was written in 2009 and remains one of our most popular posts. If you’re keen to learn more about scheduling and planning, you may find this recent article on tracking your hours in real time of great interest. Last week, I wrote a post about online scheduling systems and how they can help you streamline your process for scheduling meetings with clients and colleagues. I provided an overview of 7 of the tools available, most of which involve a monthly fee. I received some comments and e-mails asking for free options, so in this post, I will discuss a few free options, both online and downloadable software, and some of the features you can expect from each. Acuity Scheduling offers a free single user version, but it does not include a personalized booking site or the ability to accept credit cards. This tool provides a limited free version that has a limit of 20 appointments per day and advertising in the e-mail confirmations. The free basic version of CreateAppointments has an ad on the bottom of the online scheduler and does not include customization. Genbook Free limits future scheduling to four weeks. Their paid versions were mentioned in my previous post. MEMOTXT currently works with all Microsoft platforms, but a Linux and Mac version are in the works. The Pimero Free Edition is a feature-heavy downloadable option for standardizing your scheduling process. The free SuperSaaS plan includes a maximum of 50 registered users and has advertisements. There are certainly a few solid free scheduling systems available, although the features are somewhat limited. The right solution really depends on your individual needs. Two of the options listed above are free software you can download and use locally. These are great primarily for in-house scheduling, since they donâ€™t include online booking capability. 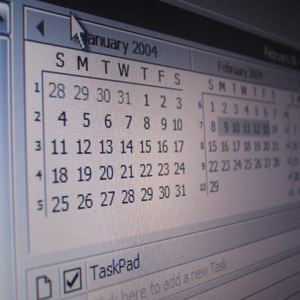 Have you used any of these free scheduling systems? Do you have a recommendation? If you enjoyed reading this post, you’ll love Learnable; the place to learn fresh skills and techniques from the masters. Members get instant access to all of SitePoint’s ebooks and interactive online courses, like Making Money With Your Blog. Comments on this article are closed. Have a question about running a freelance business? Why not ask it on our forums?